Shock tower placed in gap. Shock tower ready for test. 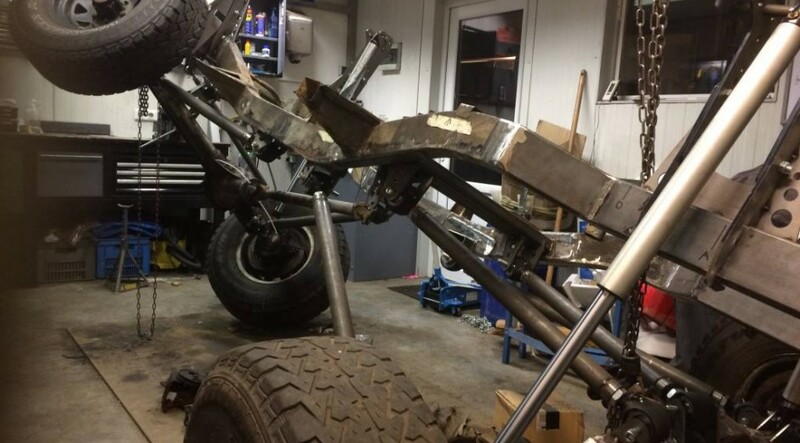 In the pictures you can see the result of the suspension design, The tyres used for test are 31×10,50×15. But the tyres that are going to be used are 35" or 37" depending on the clearance in the body. Full flex. one tyre 134cm from the floor and the other 3 still touching the floor. I am very happy with the results, No problems with suspension parts touching the frame or tyres.